Just Wait Until The Clock Strikes Midnight! Just wait until the clock strikes midnight. 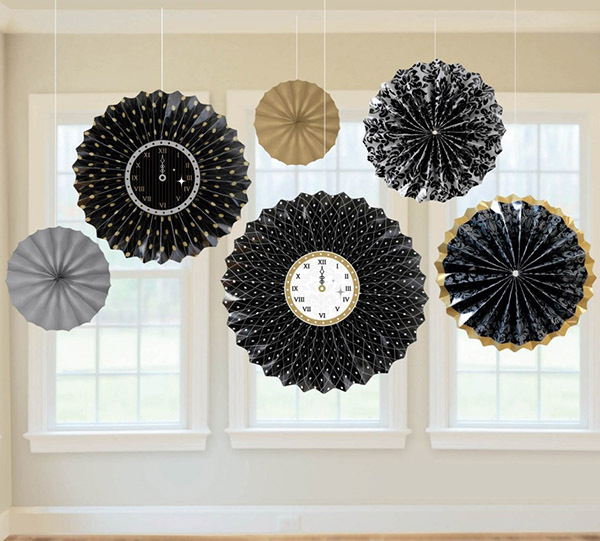 The countdown has begun for 2014 and what better way to celebrate this New Year’s Eve than with clocks! 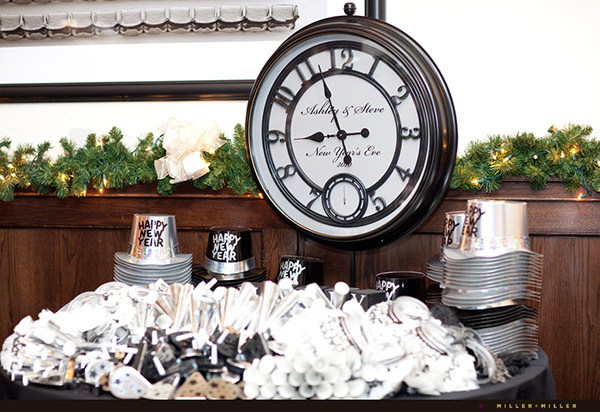 New Year’s Eve and clocks go together like peas and a pod. We love them because they are timeless. You could use them every year and they would never look out of place. They also are at the center of all of the festivities and everyone counts down the time until midnight. 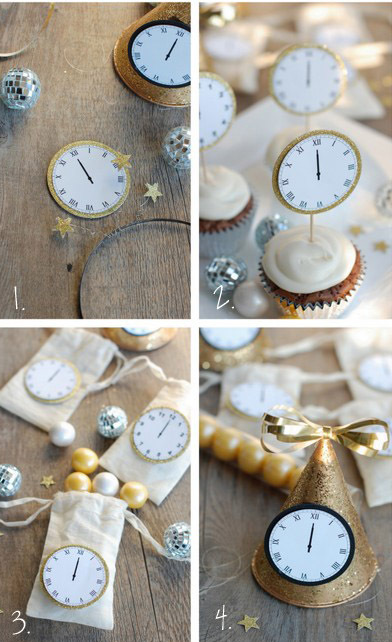 New Year’s Eve clocks can be used anywhere from decorations to desserts. 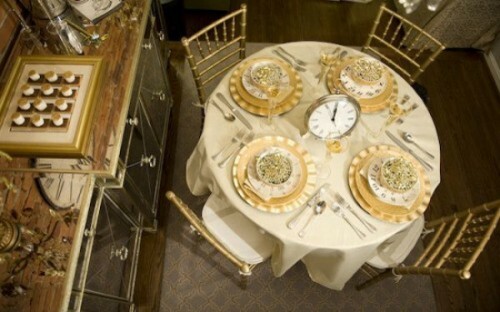 Our favorite looks is when people use them on tablescapes. 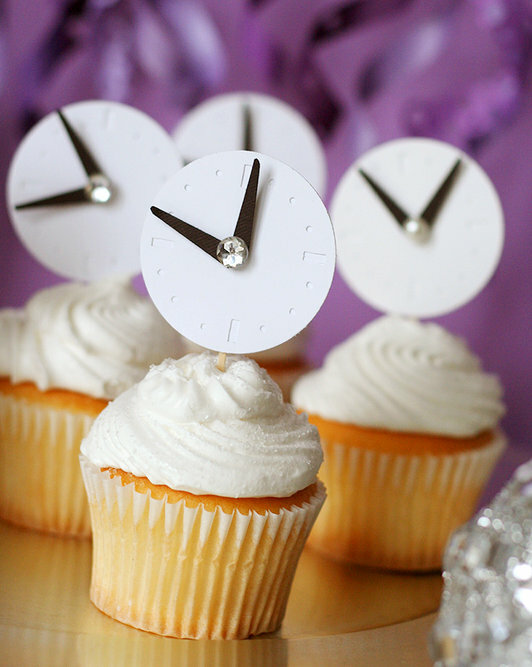 Fabulous ideas we have spotted are clock centerpieces, clock plates and clock place settings. 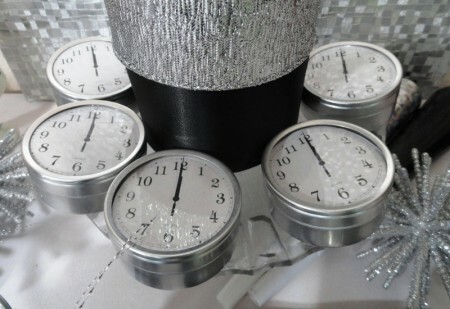 They just make your New Year’s Eve table that much more festive! 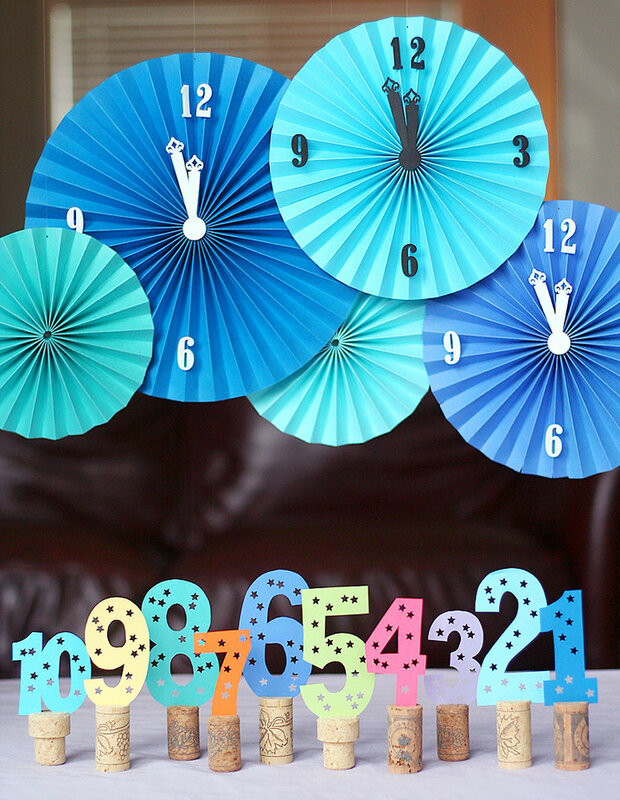 There are some lovely decorations that are super easy DIY projects you an do too. 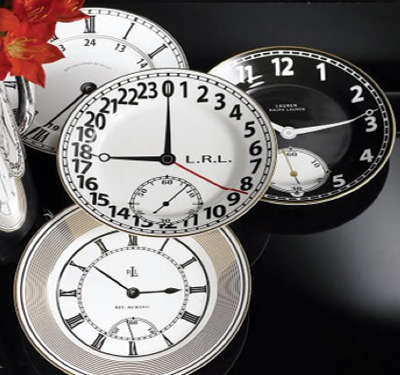 Let’s get to what all these clocks can do! 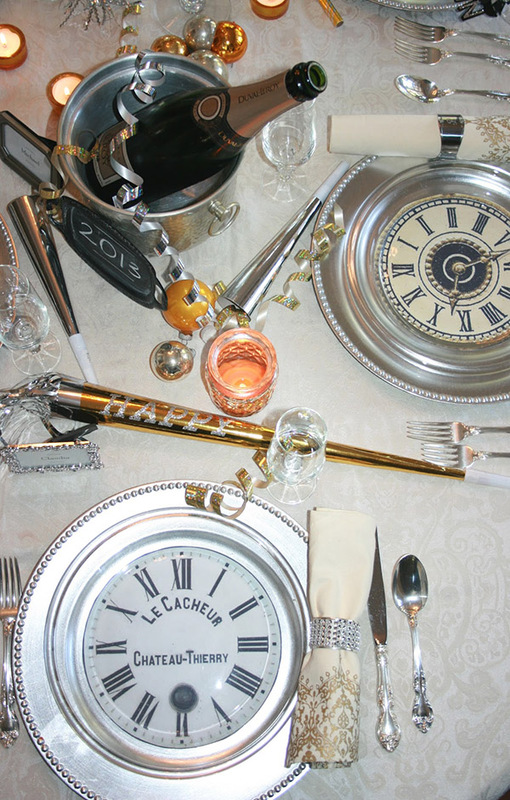 Thanks for sharing my New Years Eve dinner table and clock plates. I am now a new follower! 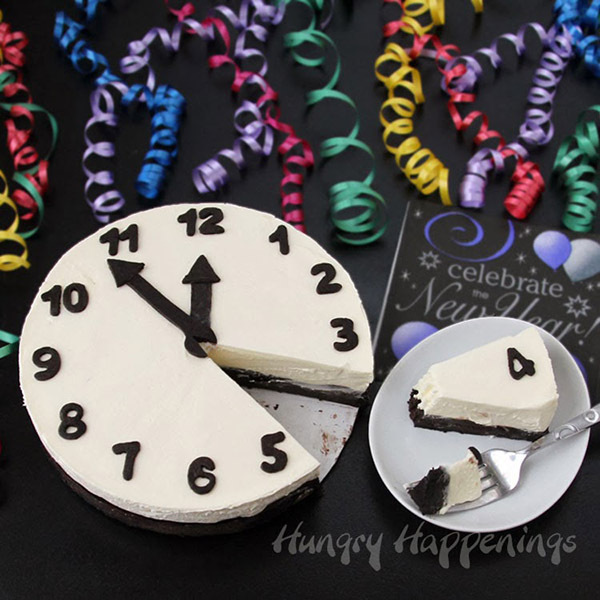 Thanks for sharing my NYE clock plates! I am now following you…. You are so welcome! They are great!